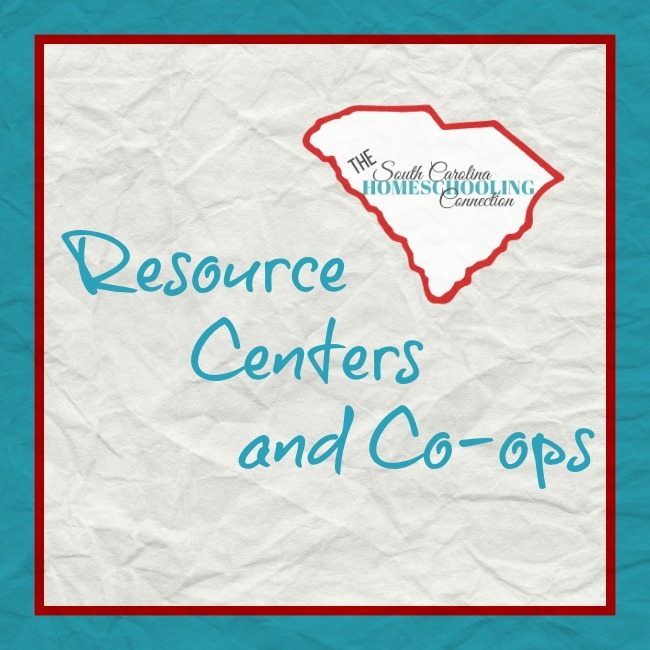 Local Resource Centers and Co-op classes offer classroom settings for a variety of subjects. What’s the difference between them? Co-op Classes (Cooperatives) are usually fun, interactive group learning opportunities led by parent volunteers. Resource Centers are often more academically challenging subjects led by a qualified instructor for a fee. Here’s some programs and opportunities near you! Anchor Co-op is a group of Christian homeschoolers whose purpose is to offer a supportive environment to our area’s home education community. Offers a variety of classes for all ages including academics, arts, and physical education. Arrows Academy, Columbia, Lexington, and Kennesaw, Georgia. Arrows Academy Core program was developed to hold classes on Tuesdays and Wednesdays that would cover a variety of subjects, freeing parents from having to “teach” these subjects at home. For these Core classes, the students would have assignments to complete at home the rest of the week under parental supervision. Parents then instruct their students in the subjects of math, spelling, and grammar to complete a well-rounded curriculum. Artios Academy sees every historical milestone, personality, and ideology, as part of the greater story of God. Truth manifests itself throughout history in the form of art, events, people, leaders, and leading ideas. History, Literature/Grammar/Composition, Art, Music, and Theater are the five core classes of a complete Artios Academy of Arts and History program. All five of these classes are taught in an integrated and comprehensive format. CurrClick is another great place for co-op class resources. Printable e-books are just a click away with my affiliate link. Agroup of Christian, homeschooling parents and children in Lancaster & Kershaw county of SC offers monthly planning/fellowship meetings for parents, weekly co-op classes, and field trips. This program implements a truly “blended learning” classroom, where students learn at their own pace while still getting structured teacher help. Based in Charleston, but are held online. Middle/High school or younger students. Utilizes the Cambridge Latin curriculum. Modeled after a university-schedule, students take classes two days a week with qualified, Christian instructors in a small class of like-minded students and spend the other three days a week learning under the guidance of loving and dedicated parents at home. K4-8th grade. CHEE provides fun, educational, elementary classes and interesting middle school, high school, and fine arts opportunities; and supports one another in educating our students in a Godly manner. Often described as “a good, old-fashioned co-op,” all members participate in fulfilling various roles in order for our group to function and parents are required to remain on-site with their child(ren). The classical model divides the learning process into three stages: grammar, dialectic, and rhetoric. In the grammar stage, children devour facts. In the dialectic stage, children ask many questions as they sort and evaluate these facts. In the rhetoric stage, teenagers synthesize their knowledge and apply it. Founded on the Bible as the inerrant Word of God. Being part of a like-minded and committed community provides parents and students encouragement, fellowship, and accountability. Clemson Area Classical Academy is a Christ-centered education program which combines the best aspects of a home and traditional education. As a homeschool hybrid model, the program partners with parents to provide a rigorous college preparatory curriculum that is both classically and Biblically based. This group of like-minded homeschool parents work together to build a positive experience for their children. They use Waldorf materials for collective learning experiences. Located in Horry County, meets up in parks throughout the county each week during the school year. Creative Minds Preschool is a part-time art and nature-infused program for 3-5 year olds. This play based program incorporates resourceful crafts, age appropriate individual and group science activities, hands on math opportunities, sensory exploration, as well as writing and reading centers, all in a literature-rich environment. Dorchester County Homeschool Co-op is an all inclusive and secular group. They are a group after one thing: the children’s education/well being/up bringing and to socialize and just have fun! This educational cooperative is a group that comes together to Live, Learn, and Have Fun through field trips and other get togethers! Secular, no statement of faith. Explorers has brand new homeschool co-op classes in Greenville County. This is an enrichment program for students of all ages. Classes are created with fun and fellowship in mind and led by moms. Special group rates for your co-op class programs at SchoolhouseTeachers.com. Try my affiliate link to DIY your child’s education with group classes. Faith, Learning, Educational, Experience, Together (FLEET) Academy is a new group that will meet in Columbia, SC. Christian co-op geared towards middle and high school age homeschooled students. FCC meets in Greer, SC offering classes for birth-12th grade. It is a mom-lead co-op. Kids can have the experience of a class room without the walls of one. This is the un-co-op co-op. Everyone does their own curriculum but offers social/educational meet-ups including: field trips, play dates, park dates, and holiday parties. Wordsmiths empowers kids ages 7-14 to discover & share their voices through the craft of writing and aims to make every child in Greenville County a published author before high school. Riverland Hills Baptist Church offer GROUNDED, a co-op academy for homeschoolers as a community ministry. Quality curricular courses for Kindergarten through Ninth Grade homeschoolers from September to May, every Thursday between 8:25 a.m. and 12:20 p.m. Membership to HHE offers families the opportunity to supplement their homeschool curriculum with academic and enrichment classes by enrolling in Co-op. The group meets on Monday’s in Hartsville for 15 weeks each semester. Students are encouraged in a Biblical world view and are given opportunities not only academic in nature, but spiritual, social and emotional. Parents share homeschooling concepts, special skills and talents, and various curriculum as they teach the students at co-op. Families serve within HHE Co-op in a spirit of unity and cooperation. Each semester offers an eclectic selection of courses for students and parents to choose from. HEART is a homeschool co-op in Conway. Christian co-op classes and we do all sign a statement of faith upon registering. You are not required to believe as we do to join, but must respect what we are. Board members and teachers/assistants need to sign AND believe the statement of faith. HHC is a full-service organization incorporating both co-op and credit courses, high school and kindergarten graduations, and social activities. Children are a heritage from the Lord. 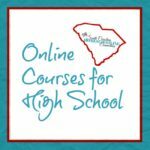 This classical, Christian, cottage school is a one-day a week tutorial service for the Charleston area. Our goal is to enrich the homeschool experience by offering a rigorous, traditional academic environment that enlivens the mind and refines the soul. This Catholic group holds classes once a week for Elementary, Middle and High school homeschoolers. HELP is a Christian Non-Profit which partners with the home educating family to provide resources and opportunities thru tutorial and corporate learning experiences. HOPE is a Christian-based, Parent-led cooperative learning program. Co-op is not a replacement for the parent as teacher at home, HOPE offers classes that will enhance or supplement what is being studied at home. INCLUDE warmly welcomes and values participation from homeschooling families of different faiths, religions (or lack of same), politics, races, ethnicities, family composition, sexual orientation, diets, vaccination status, abilities or disabilities, and home education styles. No statement of faith, no focus on religion. Contact group admin to get on waiting list. Learn Bravely Inclusive Homeschool Cooperative is focused in the philosophies of child-led and project-based learning. Each term, participating children propose classes and subjects for the following term that adults use to craft a custom schedule. The adults that lead each class develop a flexible plan for the 12 week period and specific activities for each week. As a result, prescribed curricula is rarely used. Learning Excellence Center, Inc. is a home-school partnership between the home-school parents and students designed to teach, promote and achieve excellence in learning. The “team approach” enhances the home education experience to its fullest potential through our Lord and Savior, Jesus Christ. Classes are taught by parent volunteers; Classes are mostly electives; No tuition – Only small class and family fees. LHC is a Christian organization with the belief that our faith is an integral part of all areas of life, including education. Our classes are taught from the Christian perspective. All families are required to attend Family Devotion. This is a private school, but this program offers once a week classes for homeschoolers and charter/virtual school students to participate. Meet Thursdays from 9am – 12 or1pm at Freedom Church on Cypress Garden Road. Classes kick off Jan 5 – May 11, 2017. And begin again next August. Currently looking for interested participants and those who may want to teach. Offers Spanish immersion preschool, home-school, private, and camp programs develop students’ bilingual skills to successfully compete in the global market place. The staff of native speakers immerse students into meaningful and real-world activities that promote language fluency and conversational skills according to individual learning styles. It is a resource center, not a school. Its goal is to aid parents who need assistance in teaching their child the upper level mathematics, science, foreign language, and/or English courses required to graduate from high school and to prepare their child for college. Teachers are trained by degree and/or having experience in the areas offered. The key elements of Christianity will be unapologetically taught through the science, math and literature courses offered. The Home School Resource Center has changed their name to Milton Academy in 2018-2019. They have been offering exciting and challenging courses for middle and high school students since 1998. Their goal is to help parents with classes they are unable to teach at home while preparing their students for college and life beyond school. Small classes are a great transition from home to the classroom setting. Monday’s Artists is a fine arts enrichment program focusing on teaching students how to utilize the right side of the brain, to see the beauty that surrounds us, and to visually bring it to life. Offering professional instruction using high quality materials at affordable rates, AND opportunities for friendships. Pathways is a Christ-centered community that provides a variety of classes to meet the needs of home-schooling families in a safe and loving environment. We desire to strengthen home-schooling families by providing Christ-like support and encouragement for all. We work together to achieve excellence by serving each other through our God given strengths. Pathways for Scholars Christ-centered cooperative of Vine and Branches Home Educators. It is our mission to partner with families to provide a challenging curriculum that enables the students to maximize their God-given potential and talents. Through classroom setting, students have the opportunity to benefit from academic projects that are well-suited to a group environment and learn independent study skills while developing friendships and practicing social skills. The Principia Center is a resource center for homeschool families in Columbia, SC. We provide weekly instruction for students in grades 7-12. The Principia Center exists to impart knowledge to students in a manner that equips them to live confidently as Christians, able to articulate their own world view and to understand the views of the world around them. Try some planning resources and teaching materials at Book Depository. They’re great! Free shipping, delivery in about a week! REACH Co-op provides a venue for parent-led classes, discussion groups, and clubs. Kids (and parents!) get a chance to socialize and share the fun of learning. Older kids can especially benefit as committing to a class teaches them time management and personal responsibility. Whatever you’re doing, let’s do it together! School of the Minds is committed to quality high-level secular education and to developing a dedicated inclusive homeschool community. We focus on STEAM subjects. School of the Minds distinguishes itself from other coops in the area in that it is less an “instructional” co-op but more a “passion” based homeschool center. Not only do our children discuss ideas with their peers, but we allow them access to converse with the community in which they live, and even with others worldwide. Seaside Cottage School is a tutor-style program that utilizes the Charlotte Mason Method. One, two, or three-day-a-week elementary and middle school tutorial ministry where students read from primary source books and compose answers longhand. An old-fashioned education meeting the needs of the 21st Century. Summerville Home Educators Enriching Partners is designed to help facilitate the home education experience and is run by parents just like you who have the desire to share their knowledge and expertise in a certain subject area. The mission of SHEEP is to glorify God by assisting Christian Home Educators. STARS is a parent-led home school co-op where all children are treated special and receive a Christ-centered, academic, friendly environment. In order to maintain an elevated standard of excellence, we unite together with other like-minded parents and children that share the same goals. At STARS, we are one team with a vision to motivate and empower homeschooling families in the Upstate region. Discount prices on office supplies, printer ink and craft supplies at Zuma Office. Delivered to you door–plus they give half their profits to charity. Try my affiliate link to see how much you’ll love them! STEAM Co-op the Upstate is a cooperative among homeschool families in the Upstate. This cooperative will provide opportunities for the normal learners and special needs/learning differently children to thrive in varied learning opportunities that are not already readily available in our Upstate area. Upstate Area Speech and Debate club exists to “support homeschooled students and their parents in developing and practicing the life skills necessary for Godly character and effective verbal and nonverbal communication.” (UASD mission statement). Seeks to meet the mission through weekly meetings focusing on speech and debate skills and how they relate to communication, life, and Christianity. Serving grades 1 – (remedial) 9th with a focused on language arts and whole child learning. Offers class instruction, assignments and grades to teach for students to find joy in unwrapping new discoveries for further exploration, realize their abilities to learn and pace independently while having mom on stand-by to guide, take notes, keep organized notebooks, follow a rubric, study, quiz, test, and so on. Seeks students who are open to being inspired to learn, to work diligently, and to be encouraged toward working independently while being equally open to playing hard and building friendships focused on kindness and fun. Vanguard provides homeschooling families an opportunity to extend their children’s learning experiences one day a week by engaging students in classes in a wide variety of subjects. 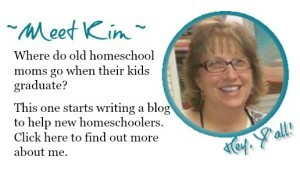 Our mission is to be a Christ centered, biblically- based homeschool resource for families. We want to come alongside families in their homeschooling journey, to encourage and support families as they seek to develop Godly character in their children. Veritas Schools offer homeschooling families a unique complement to their home study programs by providing one day per week of classroom instruction, with an emphasis on classical as well as traditional subjects taught from a distinctly Christian perspective. All students at Veritas Schools learn factual and philosophical truth, learn to evaluate the messages they are receiving from the world around them, and learn to defend their beliefs in a persuasive manner. Note: A University-Model® school is a Christian private school combining the best attributes of homeschool and traditional school. Students meet on campus two or three days per week, and complete lessons under the direction of professional teachers, then working at home with the parent’s supervision on alternate days. Can’t find a specific class you’re looking for?